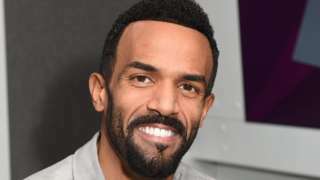 Mark Lawrenson takes on singer-songwriter Craig David in the latest round of Premier League matches. Pascal Gross' winner gives Brighton their first Premier League victory in eight games as they beat struggling Watford at the Amex Stadium. Stevenage earn a first win in nine league games, thrashing Chesterfield to leave the visitors deep in relegation trouble. 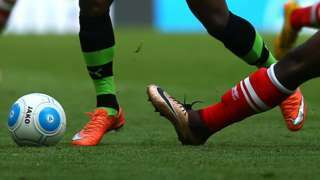 Will Vaulks scores the winner as Rotherham United come from behind to beat MK Dons in League One. Luton go four points clear at the top of League Two with a victory that ends Grimsby's four-game unbeaten run. 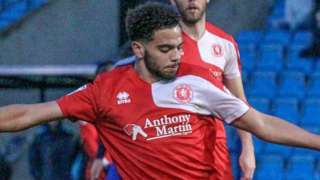 Boreham Wood are unable to secure a fourth successive league win as they are held a goalless draw at Solihull Moors. Brighton make three changes to the team that drew 0-0 with Burnley last weekend. In come Tomer Hemed, Connor Goldson and Markus Suttner for the suspended Shane Duffy, Gaetan Bong and Glen Murray. It's four changes for Watford after the 4-1 defeat to Huddersfield last week. Captain Troy Deeney is suspended and is replaced by Andre Gray. Elsewhere Ben Watson, Tom Cleverley and Roberto Pereyra replace Adrian Mariappa, Etienne Capoue and the banned Abdoulaye Doucoure. M1 Bedfordshire northbound severe accident, between J12 for A5120 and J13 for A421. M1 Bedfordshire - One lane closed and slow traffic on M1 northbound between J12, A5120 (Flitwick) and J13, A421 (Bedford), because of an accident earlier on. M25 Hertfordshire anti-clockwise severe accident, at J17 for A412. M25 Hertfordshire - Very slow traffic and one lane closed on M25 anticlockwise at J17, A412 (Maple Cross), because of an accident. M1 Bedfordshire northbound severe disruption, at J11 for A505 Dunstable Road. M1 Bedfordshire - M1 lane closed on exit slip road and heavy traffic northbound at J11, A505 (Dunstable South), because of a broken down vehicle. M25 Greater London anti-clockwise severe disruption, between J25 for A10 and J24 for A111. M25 Greater London - One lane closed and slow traffic on M25 anticlockwise between J25, A10 (Enfield) and J24, A111 (Potters Bar), because of a vehicle fire. 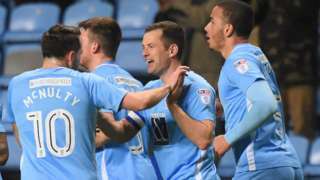 Coventry move to within one point of the automatic promotion places in League Two with a thrilling win over Wycombe. Video caption: Disabled rugby fan Jason Felce uses half-time video to tell stadium he 'has a voice'.Disabled rugby fan Jason Felce uses half-time video to tell stadium he 'has a voice'. Millwall left-back Noah Chesmain and Luton Town striker Aaron Jarvis join Boreham Wood on short-term loan deals. Adam Cox created an alter ego of a 17-year-old girl to exchange explicit chat with three men online. A delivery driver has been robbed of his van thought to have been filled with Christmas parcels in Milton Keynes, police said. At about 15:00 yesterday, the driver was hit on the head by a man while delivering £2,000-worth of packages on Clifford Avenue, Bletchley. The offender, who was described as black, then got into the white Mercedes van - registration WR56 BKL - and drove off. The delivery driver, a man in his 40s, was taken to Milton Keynes Hospital for treatment and later discharged. Det Con Kim McHugh said: "This robbery happened in the middle of the afternoon just as the driver was delivering parcels, presumably, considering the time of year, many were destined as Christmas presents." 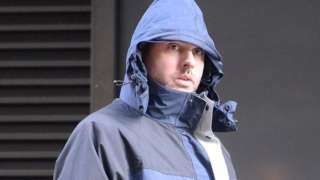 The officer appealed for witnesses to come forward. M25 Hertfordshire anti-clockwise severe accident, between J23 for A1 and J22 for A1081 affecting J24 for A111. M25 Hertfordshire - Queuing traffic on M25 anticlockwise between J23 A1(M) and J22, A1081 (St Albans), because of an accident, which is now on the hard shoulder. All lanes have been re-opened. Congestion to J24, A111 (Potters Bar). M25 Hertfordshire anti-clockwise severe accident, before J22 for A1081 affecting J23 for A1. M25 Hertfordshire - Stationary traffic on M25 anticlockwise before J22, A1081 (St Albans), because of a multi-vehicle accident and all traffic being temporarily held. Congestion to J23 A1(M). Jasmin Legg has thanked the 999 call handler who helped save her four-week-old son's life. M1 Bedfordshire northbound severe disruption, at J12 for A5120 affecting J11 for A505 Dunstable Road. M1 Bedfordshire - Very slow traffic on M1 northbound at J12, A5120 (Flitwick), because of an earlier broken down vehicle. All lanes have been re-opened. Congestion to J11, A505 (Dunstable South).